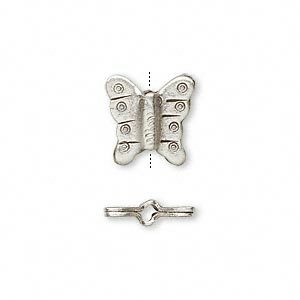 Bead, Hill Tribes, antiqued fine silver, 13x13mm double-sided butterfly with circles. Sold individually. Hill Tribes fine silver handmade beads etched with intricate patterns. 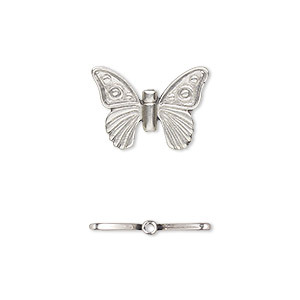 Antiqued silver finish. 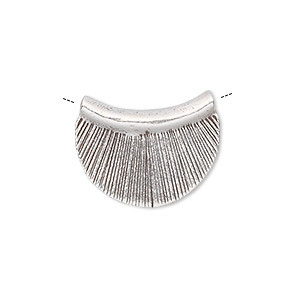 The pattern on each bead may vary slightly. Design on both sides. 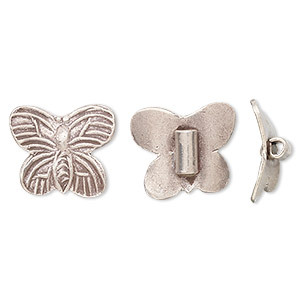 Bead, Hill Tribes, antiqued fine silver, 15x13mm moth. Sold per pkg of 2. 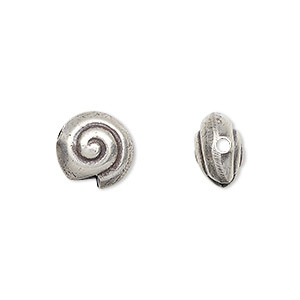 Bead, Hill Tribes, antiqued fine silver, 13x13mm double-sided puffed shell. Sold individually. 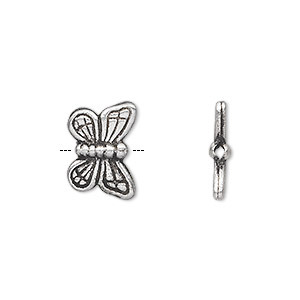 Bead, Hill Tribes, antique silver-plated copper, 16x11mm double-sided butterfly. Sold individually. 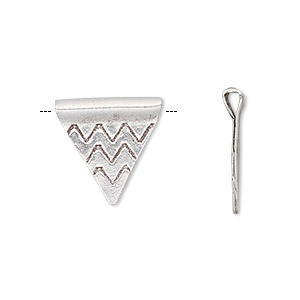 Bead, Hill Tribes, antiqued fine silver, 17x17x16mm double-sided triangle with zigzag pattern. Sold individually. 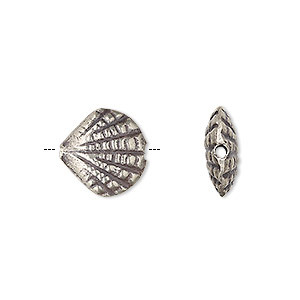 Bead, Hill Tribes, antiqued fine silver, 21x16mm double-sided crescent with textured pattern. Sold individually. 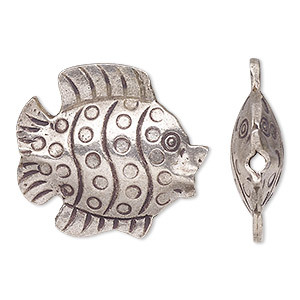 Focal, Hill Tribes, antiqued fine silver, 28x26mm double-sided fish. Sold individually. 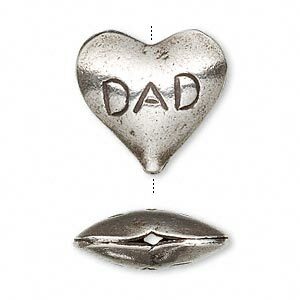 Bead, Hill Tribes, antiqued fine silver, 21x20mm double-sided puffed heart with "Dad." Sold individually. 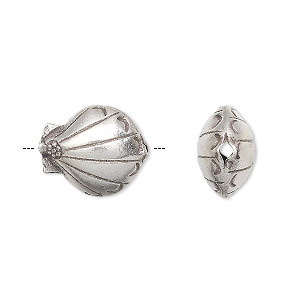 Bead, Hill Tribes, antiqued fine silver, 16x13mm double-sided puffed shell. Sold individually.